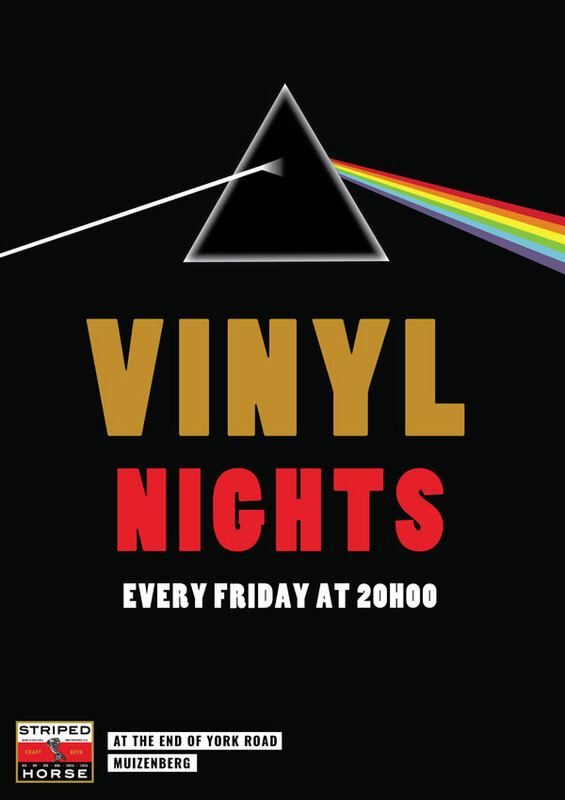 AT THE END OF MUIZENBERG’S ICONIC YORK ROAD, THERE IS A BEACH BAR UNLIKE ANY OTHER. 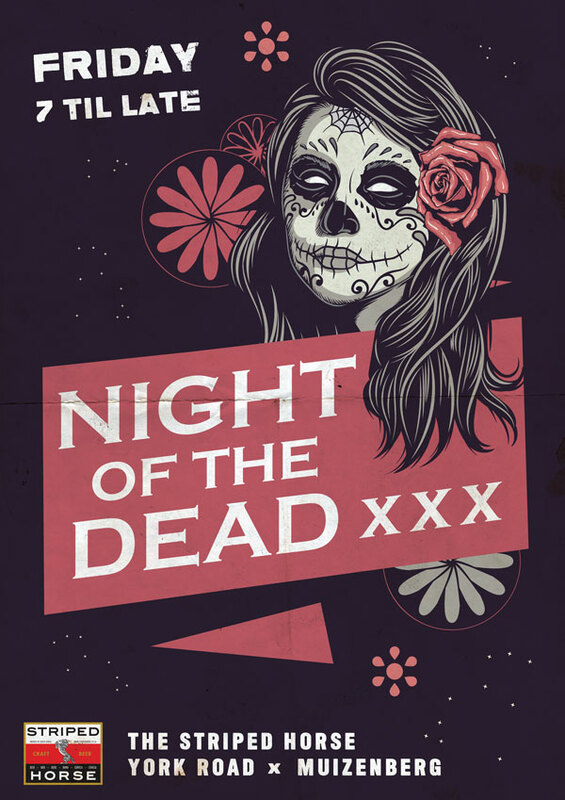 WHETHER YOU’RE IN THE MOOD FOR COLD BEER, GOOD GRUB, REAL TEQUILA OR GOOD MUSIC, YOU’RE IN GOOD COMPANY AT THE HORSE. 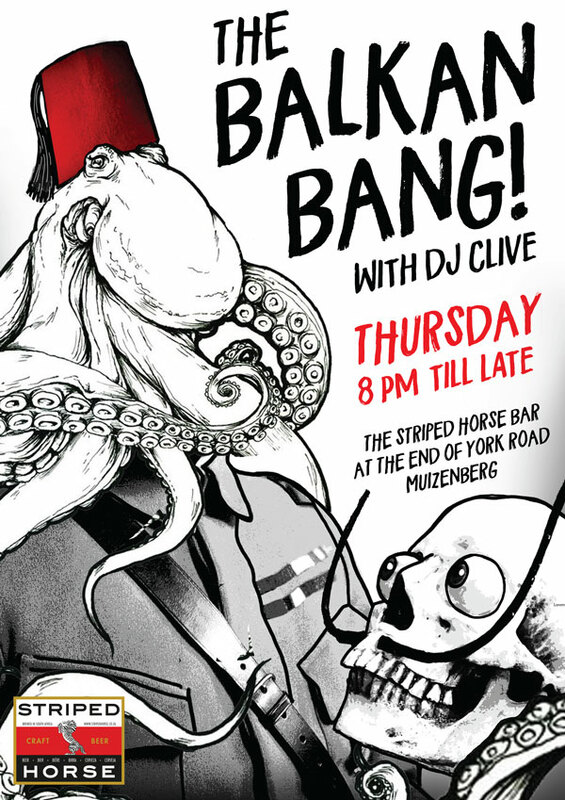 WANT TO KNOW WHAT’S HAPPENING AT THE HORSE THIS WEEK? 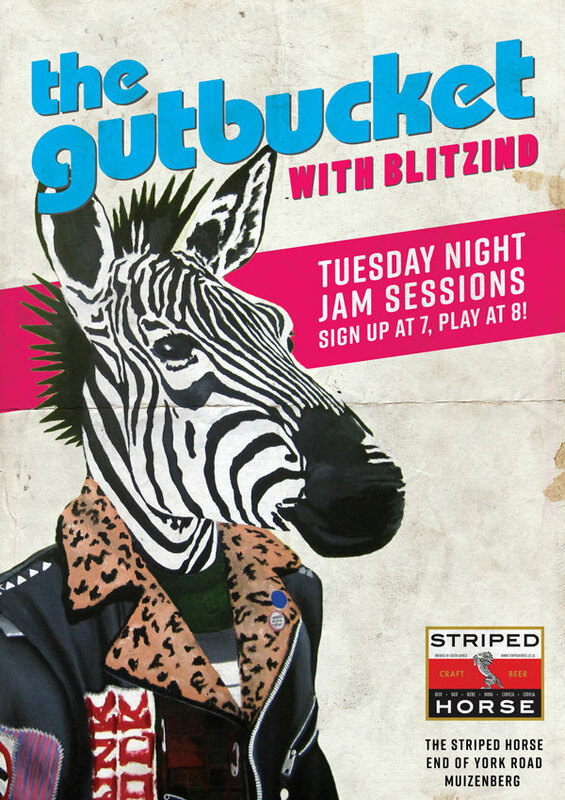 CHECK OUT OUR FACEBOOK PAGE FOR THIS WEEK’S LIVE MUSIC LINE-UP AND DAILY FOOD & DRINK SPECIALS. 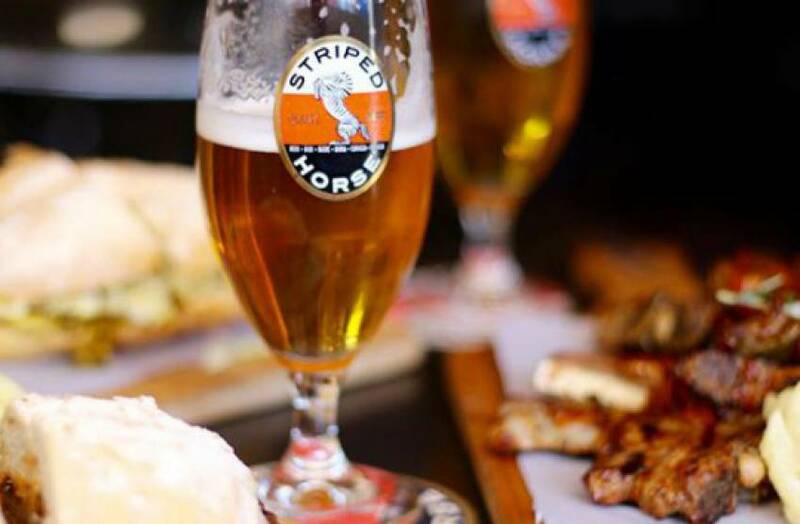 AT STRIPED HORSE BAR & GRILL OUR FOCUS IS ON CRAFT BEERS ON TAP, WITH A HANDFUL OF ROTATIONAL TAPS TO KEEP LIFE INTERESTING. WE ALSO HAVE A GOOD COLLECTION OF WHISKIES, CRAFT GINS, AND NOVELTY PRODUCTS LIKE MESCAL. 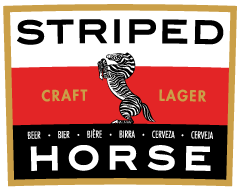 Striped horse Lager the ultimate African thirst quencher. It pairs a layered malt complexity with perfectly balanced hops to create textured, yet easy drinking, refreshment. It is a 2017 winner of a Silver South African National Beer award. 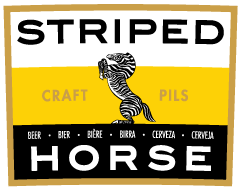 Striped Horse Pilsner is the true queen of beers, both elegant and voluptuous. Its complex, hoppy nose and balanced bitterness on finish, make for the perfect food beer. It is a 2017 winner of a Silver South African National Beer award. 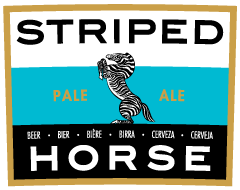 Striped Horse Pale Ale is an easy drinking golden ale with a fruity malt backbone and delicious hoppy finish – for a deep, eclectic, distinctive beer experience. Gold medal winner at 2015 and 2016 SANBT with best overall beer trophy in its category in 2016. 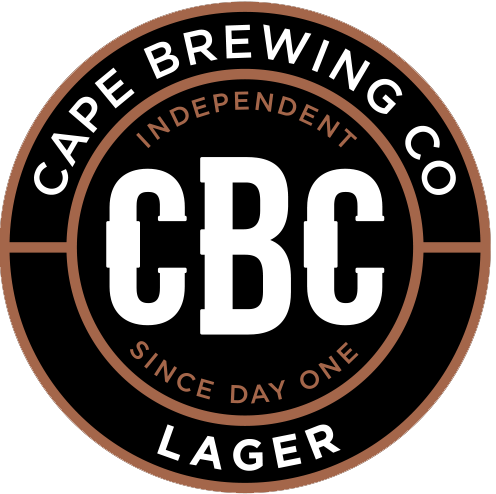 Cape Brewing Co (CBC) hold two lines. CBC Amber Weiss is a crowd favourite, so we keep it on all year round. (ABV 5.4%) The Amber Weiss is a reddish Weiss, and only lightly hopped, resulting in only slight bitterness (IBU 11). 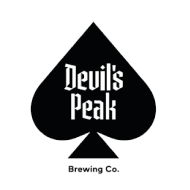 Devil’s Peak currently have their First Light Golden Ale on tap. First Light is an easy drinking, approachable session beer. With an IBU of 20 it is light bodied and smooth in finish, without harsh bitterness. 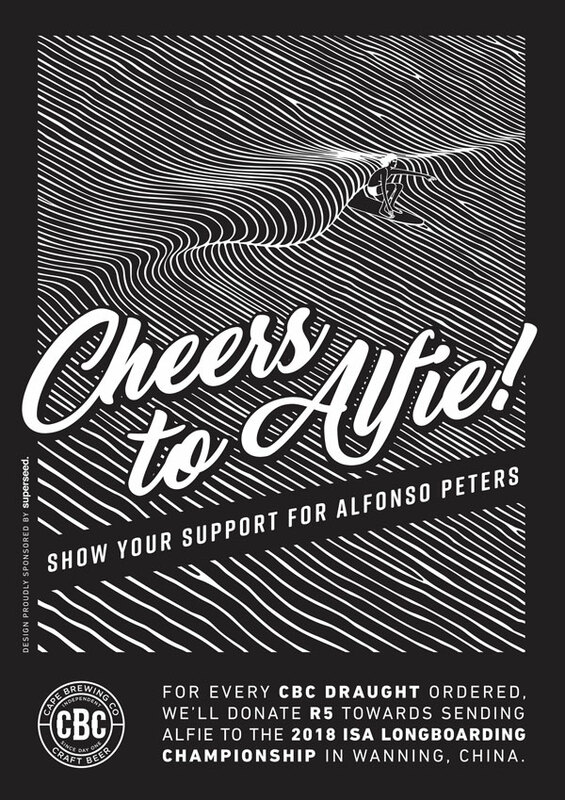 Our surf buddies from up the coast, St Francis Brewing Co, have two of their craft beers on tap. Wildside IPA is inspired by the storms that bring us waves – a hoppy, international style IPA (ABV 6%). Not everyone is a beer fanatic, so we also have Alpha Craft ciders on tap (switching between the Dry Cider and the Ginger Infused Cider). As well as this we always have a small but well-chosen selection of wines and bubbly, and a handful of cocktails, both the classics and some of our own inventions. 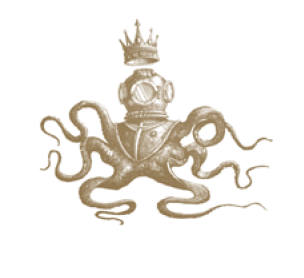 We aim to cater for a variety of tastes, and do also stock non-alcoholic beers. No Firearms / Knives / Knuckle-Dusters / Spark-Plugs / Weapons of any kind. No Drugs of any kind in The Striped Horse (Rest Rooms included!). To prevent drug usage, only one person will be permitted to enter our restrooms at any given time. No exceptions. Please take responsibility for your own skateboard, surfboard, boardgame, mother-in-law or pet tarantula. No fighting, hand-to-hand combat or any form of martial arts. No grabbing the mic or disturbing our musicians in any way. Our DJ is not your jukebox. No changing of TV channels. You can watch 7de Laan at home. No bad or aggressive attitudes, please respect our space and we’ll respect yours.